Founded in 2001 by cofounders Dwight Aspinwall and Perry Dowst, Jetboil revolutionized the way backpackers, skiers and outdoorsman view their cooking products. Overnight hikers once forced to choose from a selection of large, clunky stoves, found solace in Jetboil’s new, compact designs. For the first time in history, their experts discovered how to maximize heat transfer efficiency and minimize energy consumption. 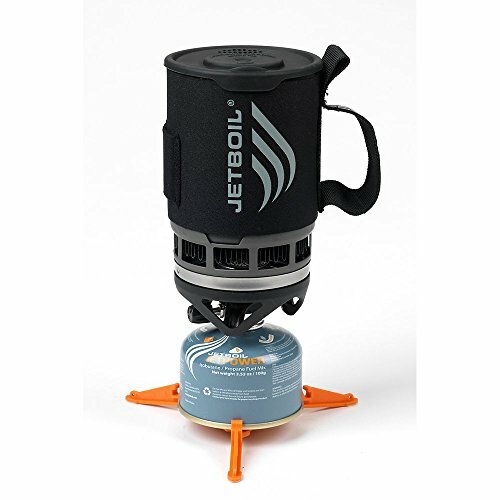 Over the years, Jetboil continued to test and improve their products, with every installment improving upon the last. Their latest product comes in the form of the Jetboil Zip Cooking System: A lightweight, personal stove. The Jetboil Zip Cooking System at a glance. First things first, before you decide on which stove is best, you need to know what you’re looking for in the first place. No matter how much storage space you allot yourself, the size of your cooking wear will dramatically impact your packing decisions. You need to pick a cooker that will not only perform the way you want it to, but will leave enough room for the extra clothes, accessories and essentials that you plan on bringing. Before you purchase any cooker, make sure to double check its specifications to see if and how many extra pots, pans and silverware you need to pack. How easy is it to use? Do you need matches or is it a self-starter? When buying your cooker, make sure to test it first. If you can’t see yourself sparking up that bad boy atop an exposed peak in frigid temperatures, then maybe you should rethink your purchase. Convenience is the first thing you’ll notice every time you use your cooker. Perhaps the most important trait of any cooker is its ability to do just that — cook. Small, lightweight and easy-to-use models might seem appealing, but they often lack the heat retention and transference you need. A strong cooker boils your water in minutes and reduces gas consumption to maximize your supply longevity. You certainly don’t want to wait over an hour in the freezing air to waist all of your gas on your first meal. The FluxRing, Jetboil’s patented design, gives the Jetboil Zip Cooking System a strong leg up on its competition. The small aluminum ring, which is found in all Jetboil designs, sits just above the flame and right below the cooking chamber. To maximize surface area and retain heat consumption, the ring is folded nearly a hundred times to maximize heat transference. This design is Jetboil’s key to a superior product. The Jetboil Zip Cooking System’s adjustable burner might seem hassle-free in store, but it proves the product’s worse feature. By no means is the knob impossible to use, but with gloves on and in colder conditions, twisting the knob becomes quite difficult. Though manageable, the design is not nearly as grippy as other products. Unlike other Jetboil products, the Jetboil Zip Cooking System requires match ignition. The compact design is simply too small to support a self-sparking mechanism. For obvious reasons, a match ignition requires a bit more preparation and often becomes hard to start. Whatever you do, don’t forget your matches. The Jetboil Zip lid has both an area for sipping and straining. The sipping hole fits perfectly to your lips and works great for coffee, tea, water etc. The strainer hole excels with rice, noodles and other liquids, ensuring that no food escapes in the process. Overall, the lid is a strong feature of this cooker as it greatly retains heat even with both holes in the open position. The bottom-most part of the Jetboil Zip Cooking System not only functions to insulate the stove when in storage, but also detaches for a reusable measuring and drinking cup. The measuring cup holds up to one cup and has clear, legible lines to see your desired measurements. Furthermore, depending upon your food supplies, this cup feature removes the need for supplemental bowls and plates. The Jetboil zip earns high marks for its storage capacity. The stove breaks down in seconds and fits into a single, airtight bottle with no loose ends. Even the required 100g fuel canister — which is purchased separately — fits nicely inside the cooking chamber along with the Jetboil stability stand and pot supporter. Like most outdoor cooking system models, you must purchase the fuel canisters on your own. Note that any size surpassing 100g will not fit into your Jetboil Zip Cooking System. This is not a lot of gas, but then again the system only cooks 800 ml of liquid — enough for one freeze dried meal and a cup of coffee. If you choose to bring pots and pans for your stove, you must also purchase a pot supporter. The Jetboil pot supporter conveniently does fit inside of the Jetboil Zip Cooking System, but it does not come with it. The Jetboil Zip is an excellent cooking system, but it does have its downsides. Thanks to the FluxRing design, the stove possesses unmatched fuel efficiency levels, but users do bash its low resistance to cold and wind. Further criticisms attack the burner’s control knob, which is tolerable to use but often difficult in less than ideal conditions. Finally, the measuring/drinking cup works well but, when reattaching it to the system, takes extreme precision to lock back into place. 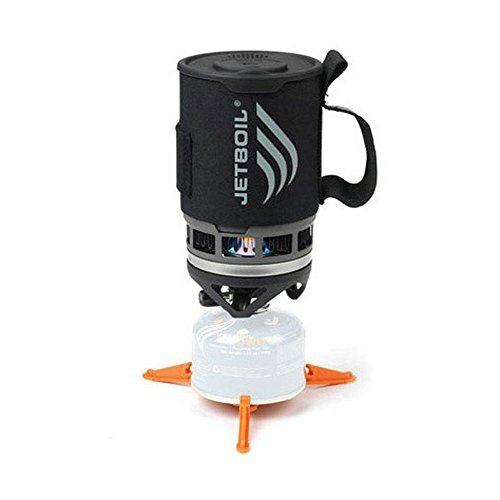 The Jetboil Zip Cooking System uses an insulated sleeve to protect the actual cooking chamber. The sleeve not only has a handle, converting the stove into a large mug, but it also has a holding pouch used for silverware, salt or other smaller items. You may never use this pocket as it won’t completely cover your silverware, but occasionally it’s pretty useful. If you’re looking for an extremely lightweight and small stove, then the Jetboil Zip Cooking System is a great option for you. Its fuel efficiency surpasses rival models and its storage capabilities prove great for long backpacking trips. However, if you’re looking for a quality cooker built to feed more people, we suggest looking into the Jetboil Sol systems. 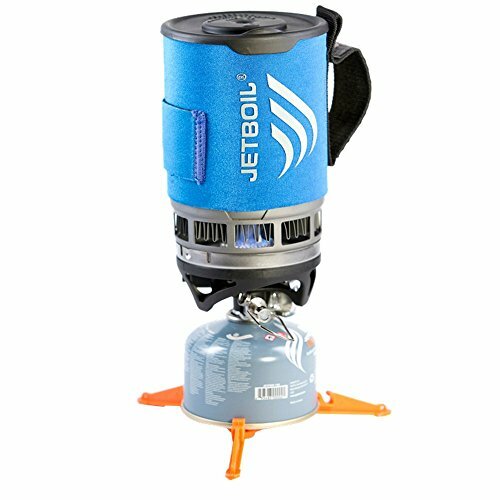 We recommend the Jetboil Zip Cooking Stove for both day and overnight hiking trips in low altitude and warm-weather. Once the Jetboil is taking into cooler climates, its downfalls become much more apparent.